Immerse yourself in the rich history of China’s ancient capital city as you conduct your function at Grand Park Xian. The elegance and grandiose décor coupled with the trademark Park service make our unique Xian meeting venues stand out from the rest. Situated in the heart of this ancient capital city, the hotel is easily accessible from the business district and close to many of the city’s historical sites such as the Bell Tower, Drum Tower, Great Mosque and Shaanxi History Museum – perfect for some offsite bonding or afterwork entertainment. The hotel is just 40 minutes by car to the Xi’an International Airport and Museum of Terracotta Warriors and Horses. Seven versatile function rooms and an opulent ballroom provide the ideal venue for business seminars and conferences. The internal spaces of the meeting rooms boast stylish interiors, lending an air of formality. In the external foyer, guests have ample room to relax and mingle during cocktail sessions or meeting breaks. With a maximum seating capacity of 480 and featuring glistening chandeliers on arched ceilings, Yong Ning Ballroom is the choice location for conferences and events. 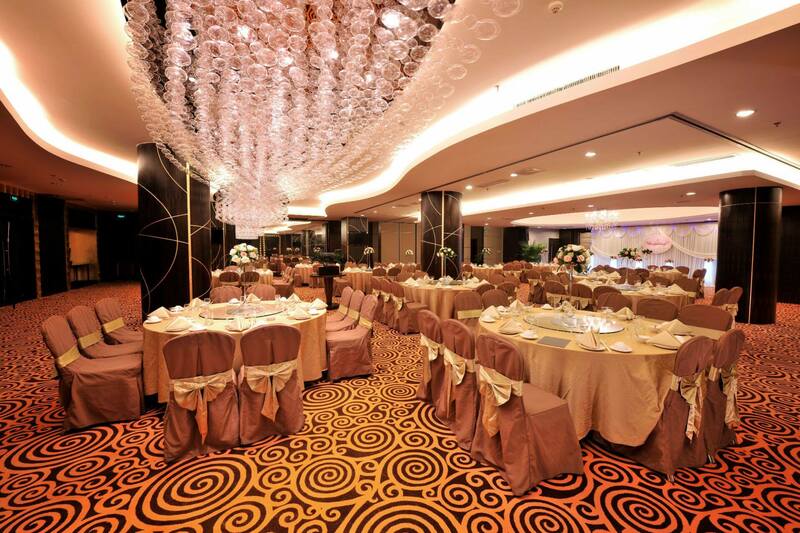 Have your dream wedding at our 5-star hotel in Xian as we present you with a pillarless Grand Ballroom; bask in the vast splendour, generous spaces and plush facilities infused with elegant touches from East and West for your Chinese wedding ceremony. Yong Ning Ballroom can accommodate up to 480 guests and is the choice venue to celebrate one of your life’s biggest moments. Let us be with you every step of the way – from setting up a unique venue, conjuring an exquisite feast to creating a lifetime of cherished memories – as you embark on a new journey with your special someone. To embark on your own Celebration of Love, please contact Grand Park Xian Hotel at (86 29) 8760 8888 or email us. For great memories that last a lifetime, there is no better place to host your event than at Grand Park Xian. Offering the luxuries characteristic of our array of versatile function spaces complete with attentive service, you can be assured that your event will be as important to us as it is to you. Our team of professional planners will work with you to inject your own personal style for a unique occasion. Yong Ning Ballroom with a seating capacity of up to 480 persons is befitting for the most lavish corporate affairs and private celebrations, while our function rooms can be configured to accommodate small to mid-sized gatherings.